At the Ad Lib Club above the Prince Charles Cinema in London's Soho, Ringo Starr proposed to his girlfriend Maureen Cox. 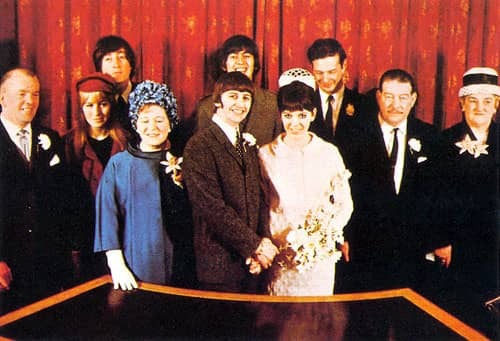 The future Mrs Starkey accepted, of course, and the couple married at Caxton Hall on 11 February 1965. The Ad Lib was, for a time, The Beatles' preferred nightclub, where they enjoyed almost regal status and had their own private table. It was a popular destination for famous faces from the world of fashion, film and music until its closure in 1966. It was at the Ad Lib that John Lennon, George Harrison and their partners went after their drinks were spiked with LSD in July 1965.